Once our installation crew has proper measurements, our crew from Renewal by Andersen of Houston comes to your home ready for the job ahead. Inside, we have everything tool and piece of knowledge to create eye-catching designs to make your home feel new again. To get started with Renewal by Andersen today, give us a call, fill out our Request an Estimate form to schedule a no obligation in-home estimate, or stop by one of our three Houston area showrooms. Put your trust and your home in the hands of certified professionals who truly understand the ups and downs of owning a home in Houston and the surrounding areas. 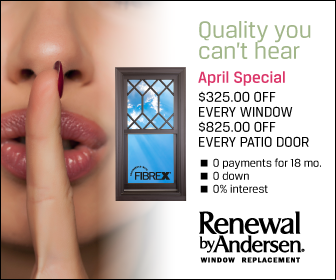 Call Renewal by Andersen of Houston today at (281) 547-6177 to discuss your replacement window needs.